This webinar will discuss how the LaserFlow is being used where other technologies have failed. Low velocity, high velocity, deep or shallow water; situations like these are no problem for the LaserFlow. The LaserFlow™ velocity sensor remotely measures flow in open channels with non-contact Laser Doppler Velocity technology and non-contact Ultrasonic Level technology. The sensor uses advanced technology to measure velocity with a laser beam at single or multiple points below the surface of the wastewater stream. 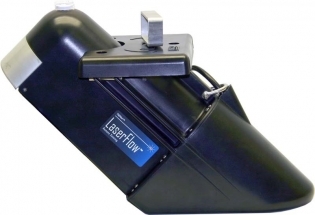 The LaserFlow is ideal for a broad range of wastewater monitoring applications. SafeSwap enables safe and quick replacement of gas sensors without turning off the instrument. With its specially designed mounting bracket in place, the LaserFlow can be deployed and removed from street level. This avoids the risk and expense of confined space entry. A variety of communication options enable programming and data retrieval from a remote location. Information about data quality can be recorded and transmitted with the flow data. Additionally, built-in diagnostic tools simplify installation, maintenance, and advanced communication options reduce site visits.